Jogo de estratégia (táctica) sequela do SHWW2 e FOW. Para quem não conhece, trata-se de um RTT baseado na WW2, jogo realista a meio caminho entre um CoH e o Close Combat. É da 505 games, criadores do ARMA, e publicado pela 1C que costuma se focar bastante em jogos dos mais variados tipos de simulações militares. Já saiu uma review da Eurogamer: 9/10. Men of War makes the 1939-45 havoc proffered by other real-time strategy games - even Relic's classic Company of Heroes - seem drab and predictable. Its fragile and flammable scenery, extravagant physics, resourceful AI and awesome scale and intricacy combine to create chaos so brutal even Hieronymus Bosch and the Chapman Brothers would blanch. Whether the force at your disposal is one man or fifty, every grunt has his own capacious RPG-style inventory and will happily operate any vehicle or artillery piece, however foreign or complex. If you choose to, you can guide troops around the battlefield with traditional clicks, secure in the knowledge they'll return fire or seek cover if threatened. Alternatively, if you fancy getting a little closer to the gore and glory, you can try your hand at something called Direct Control. Picture the scene: I've been tasked with taking a German-held monastery in some godforsaken corner of the Ukraine. None of my tanks survived the initial thrust, and the majority of my infantry now lie lifeless amongst the craters and rubble. Only one gutsy Ivan has made it into the first line of enemy trenches. After he's finished bandaging his wounds and rifling the pockets of some nearby corpses, I click the Direct Control button and start guiding him through the trench network with cautious cursor keys. The mouse pointer is his crosshairs. When I swing it onto a target and dab the left mouse button, his submachinegun barks and another grey-garbed foe slumps to the ground in a cloud of crimson. Up ahead is an enemy gun emplacement ringed with stout sandbags. They haven't seen my one-man Red Army. I sneak him closer, select a pilfered stick grenade, then, using the mouse pointer to target a spot in the midst of the crouching gunners, press and hold the left mouse button. A less seasoned campaigner would have just hurled and hoped. I know from experience that it pays to cook off grenades for a few seconds giving victims no time to dive clear. The potato masher sails over the sandbag barrier and detonates hurling bodies and wreckage high into the air. Direct Control allows for that extra bit of finesse. It also dissolves at a stroke that emotional distance between player and unit we tend to take for granted in strategy games. In short: it's ace. This might be the most gripping tactics title I've played in getting on for a decade - the Close Combat series still take some beating - but its thick, rakishly sloped armour is not impervious to criticism. In addition to those faintly disappointing stealth episodes, the developers have done themselves no favours with their optimistic difficulty settings ('easy' should be relabelled 'quite tricky actually'), skimpy tutorial, and mediocre writing and voice acting. While the in-engine cut-scenes are entertaining enough, and the plot is fundamentally sound, briefings and narration feel more Thin Blue Line than Thin Red Line. But then, Men of War doesn't need a slick Hollywood narrative to succeed. It does its stunning storytelling on the hoof and on the battlefield. It writes its dramas in blood, and fire, and bullets. Buy this game and you're buying a thousand spontaneous war stories. Buy it and you are buying that rare thing - a military RTS that doesn't have to bow and scrape in the presence of the magnificent Company of Heroes. One quality Men of War does share with the Commandos series is exquisite, highly detailed maps. The European and North African environments that dominate the campaigns feel, for the most part, like real locales rather than scenario-driven shorthand. They're packed with bespoke structures and pleasing detritus. Because everything from a rusty harrow to an abandoned field kitchen can be utilised as cover, all this picturesque clutter really matters.And, blimey, some of the maps are huge. In the unlikely event you ever tire of solo slaughter, there's always the option to explore the superb Gamespy-supported multiplayer. All twenty-five of the campaign episodes can be enjoyed co-operatively. Considering how stiff the opposition often is, this is a wise concession. Having a friendly force advancing beside you, ready to lay down suppressive fire, or supply a toolkit or morphine ampoule at a critical moment, turns a great game into a fantastic one. Tor, podias mudar o título do tópico para ver se desperta mais alguma atenção. Para um jogo publicado e desenvolvido por se-mi desconhecidos é uma façanha. Aconselhado a todos os que apreciam um RTS/ RTT que obrigue a pensar um pouco - imperdível. não gosto nada do jogo! Já o podem encontrar a €29.99 na Gamersgate. estou a sacar a demo, parece interessante! The patch (version 1.11.3) fixes several gameplay, multiplayer, graphical issues and adds two new units and two maps to multiplayer mode. Já comprei o jogo e acho que está muito fixe. O jogo é muito porreiro, na onda do Soldiers: Heroes of WW2 mas ainda consegue ser melhor! 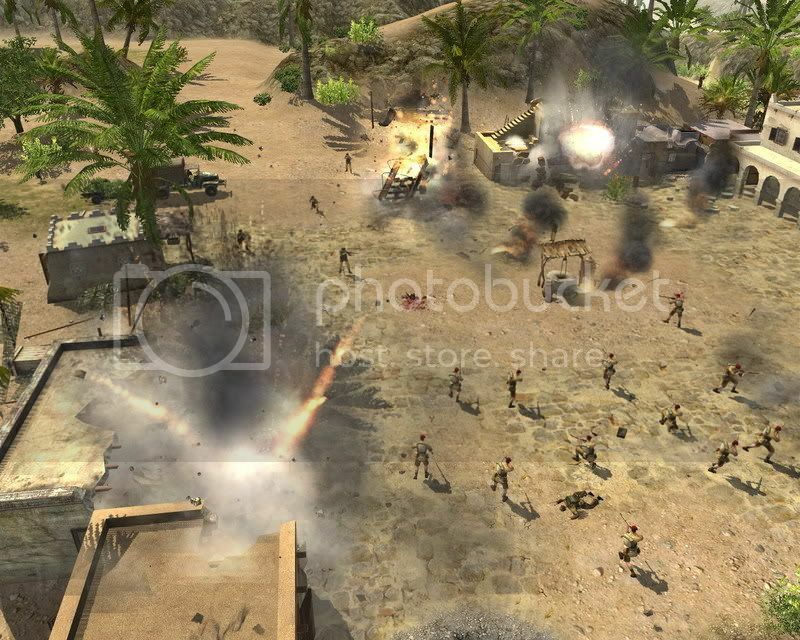 Nova promoção para inaugurar o novo site da Gamersgate, Men of War a €11.99. Não há razão para deixar passar ao lado este grande jogo, especialmente por este preço. Todas as missões singleplayer podem ser jogadas em co-op, juntamente com um multiplayer de qualidade que conta com 5 facções e vários modos de jogo. 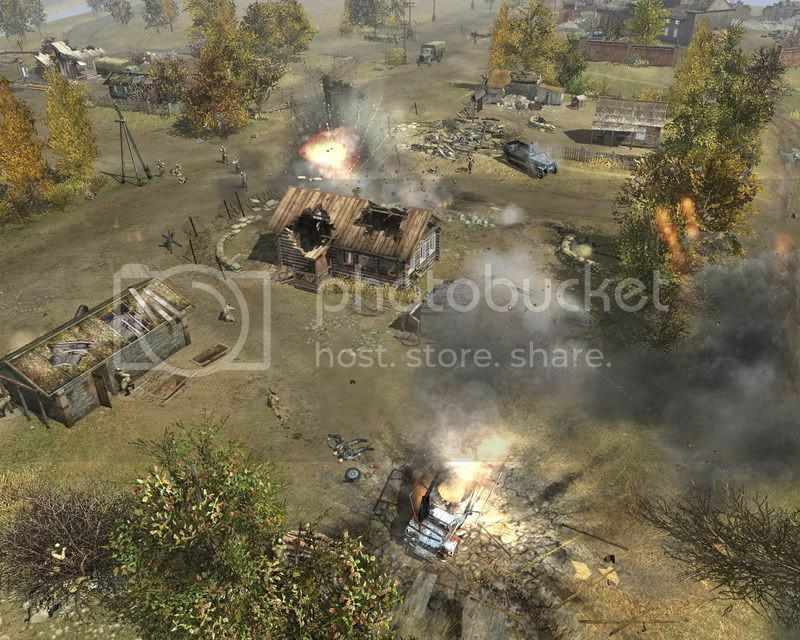 A standalone expansion for Best Way's PC action-RTS Men of War is due to hit North American retailers and digital download providers this fall, 1C and Aspyr said today. Men of War: Red Tide, as the expansion is called, will see players take control of Soviet "Black Coat" marines and their various air, land and sea-based vehicles throughout "more than 20 missions" set during the Black Sea Campaigns of World War II. The expansion should look very similar, if not a tad more ...red. The new campaign is set to be "based on the writings of Soviet scribe Alexander Zorich," the two publishers said, and packs "dozens of new or upgraded units and weapons." 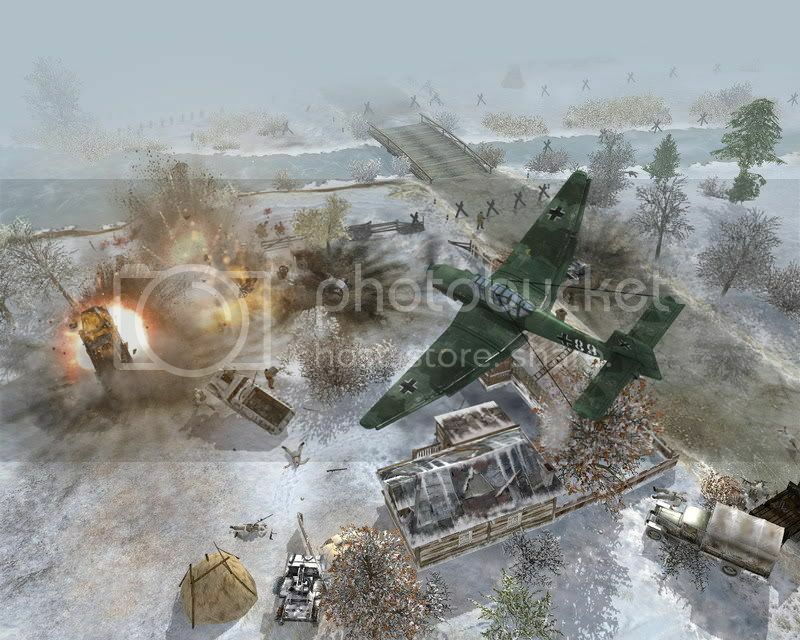 The player has direct control of new game units including the Black Coats, new tanks, self-propelled guns, armored trains, landing craft, artillery and new enemy emplaced weapons to capture and use. New air support options include new fighters, bombers, hydroplanes; cruisers, destroyers and gun boats which provide naval fire support.